That’s our boss’ favourite saying. Whether you’re talking about the weather, left-hand traffic (yes, French habits die hard!) or school uniforms, that’s what Serge Betsen will tell you: welcome to London, and embrace everything that is making it so special. Welcome home! As a sports provider solely based (for now!) in London, we got to stand up for this city: we’re feeling privileged to call this capital our playground. What better ground than Hyde Park for our SBR sessions? Autumn coming? Perfect time to go outside! October is starting, you’ve managed to go through September, and so did we. Hurray! We’re definitely less tanned and relaxed than when we wrote our Blog Post #1 but we chose to live in the UK right? Some call it ‘September blues’, we call it ‘End-of-holidays-and-all-the-fun blues’. Temperature is dropping, you’re counting the days left before daylight savings (too few) and the days before Christmas (too long). For your child(ren), September can be a synonym of anxiety as school starts. For you as well, even if we did leave school a long time ago, September can call for more seriousness and so anxiety. And that’s leaving us starting October already tired and longing for that Christmas break. 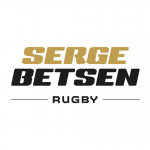 But fear not, Serge Betsen Rugby will guide you through those three months of autumn! And our number one recommendation starts with the simplest one: go outside. Enjoy the sun while it’s here, and seize what London has to offer you, as an individual but as well as a family! Parks. Yes, it’s as simple as that. We realised most of our sessions are happening in London parks: Hyde Park, Kensington Memorial Park, Battersea Park, Brook Green, Cuckoo Park… For us, it is the key to get closer to you and your schools obviously but it is as well such a privileged moment with the community of the area. In a blink of an eye, you can find the closest park to your place: morning run, afternoon walk with the children, Saturday morning rugby game (!) with the family and the neighbours, or anything involving you breathing that London air. Make London your city, and blend in that British mindset. And again, we have to bring our sports insight in here. Outside exercise offers you so many options and diversity in your daily practice! Whether you’ve been living in London for a couple years or just moved to the country, there are always hidden treasures. Time to explore the city and add some sparkle to those months to come. Long story short, autumn is coming, but we’re ready. PS: Marie’s favourite park this October is Richmond Park. Because of the deer. Quote: “Such a magical place to stalk the deer rutting”. BLOG POST #1 - Back to school, got to start as you mean to finish!